Tired of being snowed in? Winter weather got you down? Well Sierra Nevada Brewing Company has found a remedy. Ruthless Rye IPA is this year’s spring seasonal brew. I was very excited to see this release for a couple of reasons: 1) Sierra Nevada is a favorite in my house and, 2) the label is just so darn gorgeous. But it’s what was inside the bottle that sent my heart a flutter. Brewed with Chinook, Citra, Bravo and experimental hops, Ruthless Rye starts your experience with a beautiful, fresh grapefruit aroma. The grapefruit comes through loud and clear on the first sip. The taste is citrusy, rustic and the finish is clean and snappy. The rye creates and interesting “rustic” and peppery quality. Any “hop head” will enjoy this beer. And at 6.6% ABV it’s just right for cold winter nights and breezy spring days. 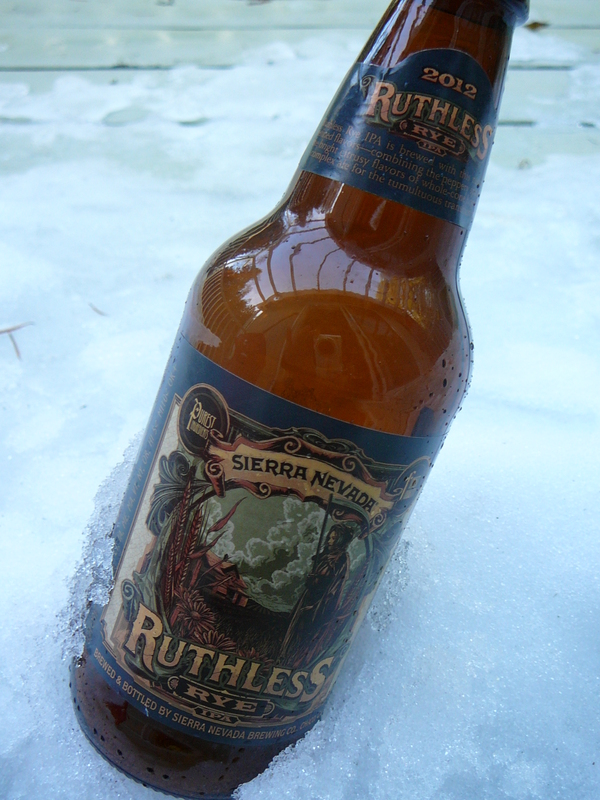 Ruthless Rye IPA is a great beer for meals, but even better as a stand-alone. Like I said, it is the spring seasonal beer for 2012 and on shelves now so grab some before it’s gone! What does one do when one has a love of 1960’s aviation and a passion for beer? Just ask Alex Ditmar, owner and head brewer of Airways Brewing Company. Alex combined his two loves and created a unique micro-brewery in Kent, WA. 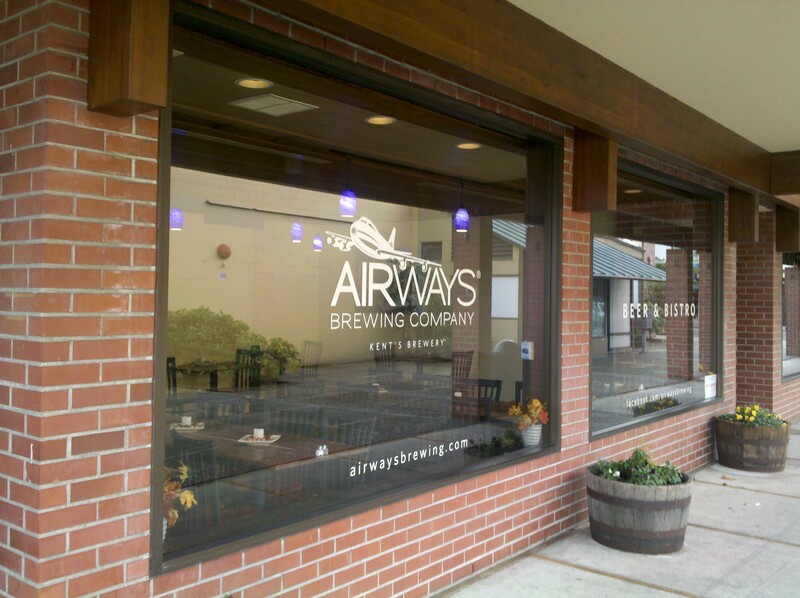 Airways opened its doors in 2010 with a brewery and tap-room and in 2011 opened a second bistro location. And the beer…oh boy…fasten your seatbelts! Sky Hag IPA (7.8% ABV) – Airways most popular beer is also their best! Sky Hag has a dark, caramel color and a hoppy nose. Grapefruit hits the palate right off and has a lovely floral, hoppy finish. Yummy! Jet City ESB (5.5% ABV) – I love ESBs and this one does not disappoint. Caramel, hoppy aroma and a malty, bready mouth feel. It finishes sweet and clean. I love this beer! First Class IPA (5.5 % ABV) – Dark honey color. Crisp, citrus notes with what I call a “back of the throat” hoppy finish. This is a lovely beer. It may be low in alcohol, but it is large in flavor! Midnight Departure CDA (6.5% ABV) – Ink black color. Dark chocolate, coffee and molasses hit the palate. Nice toasty finish. Midnight Departure is definitely a sipper. T-Tail Blonde (5.0% ABV) – this beer is currently on hold but I had the chance to try some beforehand. This blonde is sweet with pineapple notes and light hops. It’s sweet, malty, and finishes crisp and clean. Very nice beer for spring and summer. Fingers crossed it will come back out soon! To spice things up a bit Airways brews special beers throughout the year. Recently tapped is their dry hopped Lavender ESB. But soon Captain Steve’s British Dark, Starliner Stout with raspberries, and the ever popular Über Hag IPA will join the gang so keep a look out. Airways does not have a taster tray but don’t fret; they do sell 8oz pours for $2.50. Both locations are very warm and inviting and the photos on the walls attest to Alex’s love of all things old school aviation. At the tap-room, you can order food from Yukon Grill next door and bring it over to enjoy with your pint. The food at the bistro great and the flat bread pizza is to die for!!! You may not be able to join the “mile high club” but throwing back one of these pints is the next best thing! And you won’t need to return your tray and seat to their upright positions.